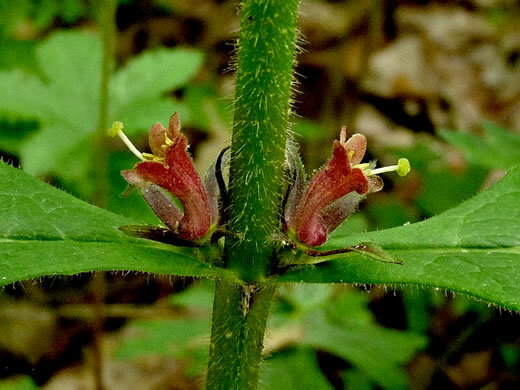 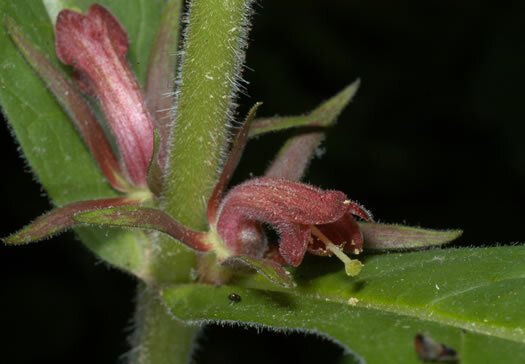 Flowers purplish-red, tubular, 0.6-0.8" long, with 5 unequal lobes, per Wildflowers of Tennessee, the Ohio Valley, and the Southern Appalachians. 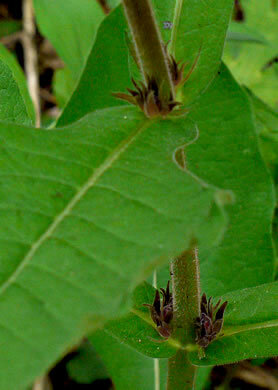 Most the stem hairs 1-2mm long, mostly not gland-tipped, per Weakley's Flora. 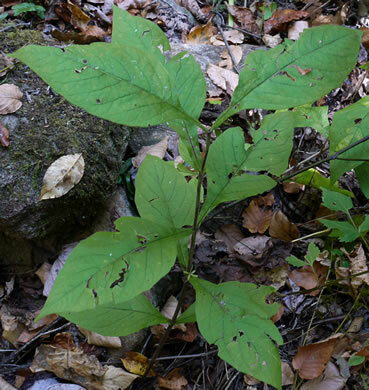 Leaves predominantly not connate (or 1-3 pr connate & only 1-2cm wide at join), per Weakley's Flora. 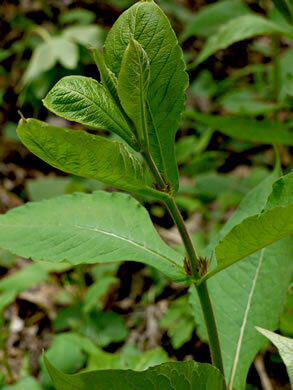 Style equaling or slightly shorter than the corolla (rarely exserted), per Weakley's Flora. 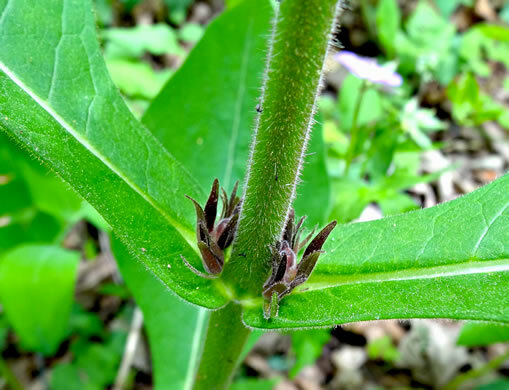 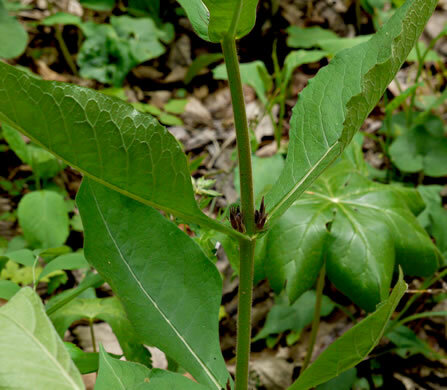 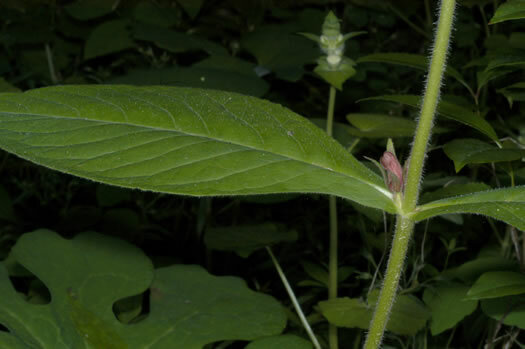 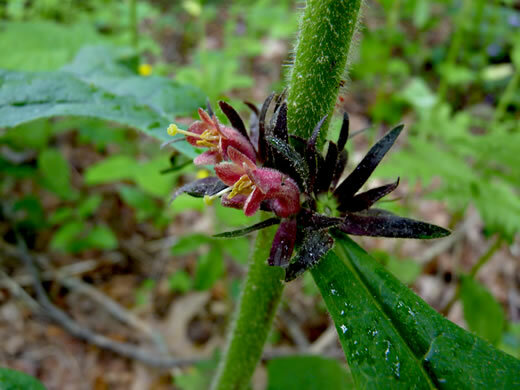 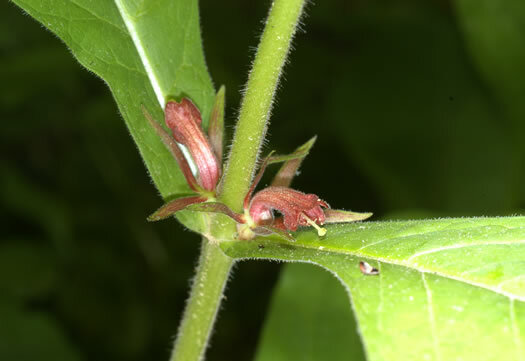 Leaves widest near the base; leaf bases not joined, per Wildflowers of the Eastern United States.